This chapter gives a brief introduction to generalized non-integer order calculus. The basic definitions and useful realizations are presented briefly along with short explanations as to the physical interpretations of the same. 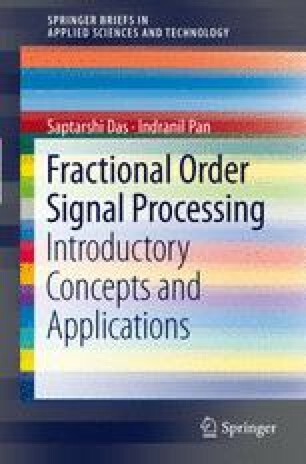 The necessity of the application of fractional calculus in signal processing domain is next highlighted and probable application areas and current research focus in this domain is presented.